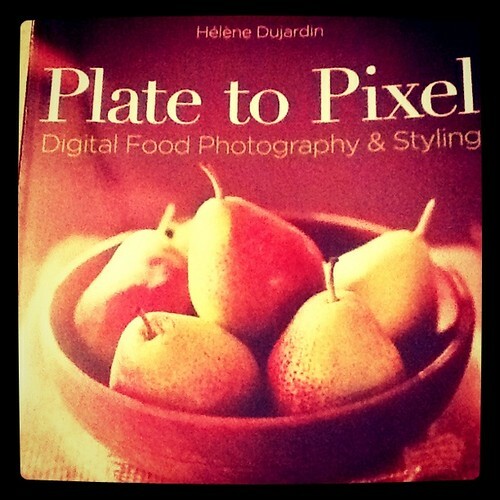 Jessica told me about this book a few weeks ago and I added it to my list of Photography books to check out on Amazon. I like to keep Wish Lists of items to purchase in the future. Yesterday Jessica popped over to my house for dinner and dropped this book in my lap and said I brought this for you…it’s yours to keep. I love unexpected gifts. And I’m quite fond of this book thus far. Since I do enjoy posting to Crumbs & Creativity (although not as frequently as I do on the Art of Accessories) she thought this would help me in taking better pictures of the food I cook and share. I have to say, I’m already 3 chapters in and I love it. I love the flow of the book and the examples that she uses. This is definitely going to be a resource that I pick up over and over again. Love it!